Chinese pharmaceutical chemist, discovered anti-malarial drug artemisinin. [Tu won the] 2015 Nobel Prize in Physiology or Medicine jointly with William C. Campbell and Satoshi Ōmura. 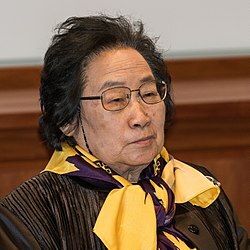 Tu is the first Chinese Nobel laureate in physiology or medicine and the first citizen of the People’s Republic of China to receive the Nobel Prize in natural sciences, as well as the first Chinese person to receive the Lasker Award. She was born and educated and carried out research exclusively in China.